Now, who hasn’t dreamt of quitting their desk job, packing all their belongings and jetting off to foreign lands? Well that dream can quickly become reality for those wanting to work and travel in the land of the long white cloud. New Zealand offers a working holiday visa to most countries around the world, inviting you to work and explore this epic land. New Zealand is small, diverse and home to more sheep than people; FACT! It is easy to make your way around both islands and finding a job during your backpacking adventure shouldn’t be too tricky – there are plenty of options. Requirements and application costs do vary depending on your home country, so it’s always best to check the Immigration NZ website before packing your bags. So, if you’re ready to get your fellowship on, then follow this simple guide to a working holiday in New Zealand. If you plan on working in New Zealand during your travels, then you will need a Working Holiday Visa. Immigration NZ is the best place to start, with an easy step by step, all you need to do is enter your details, age, country etc. and it will give you the application options. Complete the forms, pay your dues and expect it hot in your inbox within 21 days (if you meet the criteria.) Processing times do vary from country to country, but sit tight, it’s coming. But what if I’m over 30? Don’t you worry. From the visa landing in your inbox you will have a year to activate it. So, if you apply when you’re nearly 30 you can still enter the country within 12 months. However, if you have passed the big 30 then BUNAC have you covered. You can even apply for this visa if you have previously completed the working holiday. The BUNAC visa allows you to stay up to 12 months and work, these visas are limited so don’t wait. The Working Holiday Visa for UK citizens costs £106 GBP at the time of writing this, however fees are subject to change. This is for your 12-month visa, including multiple entries in and out of the country. How long can I work and play in NZ? Your visa is 12 months long, after your 12 months you have the option to extend your visa for an extra 11 months (you can also apply for the 23 month visa straight off the bat if you know you’re planning to stay more than a year.) You will have to provide medical certificates if applying for the 23 month visa. Working holiday means exactly that, you are only legally allowed to work for 12 months, allowing you the rest of your time to explore what this beautiful country has to offer. Saving is key. New Zealand requires you to have $350 NZD in your account per month upon arrival so equivalent to around $4000 NZD. Giving yourself enough spends to explore and comfortably get set up in New Zealand, which takes away any money-related stress when first arriving. A copy of your bank statement is sufficient evidence of your available funds. So, you’re ready, visa in your inbox, saving well underway… it’s time to book that flight. Booking your flights is easy as 1,2,3 right? Just get on your favourite site and press go. A one way is always a good way to start, it may be daunting but at least you can then later determine when you want to leave. Finding a job for backpackers is fairly easy. With the constant rise in tourism in New Zealand, companies are calling out for workers to help businesses boom. Anything from café work, bartending, labouring and retail work is up for grabs. You can expect to get paid anything from $16.50 an hour to $25 depending on the job role. If you have a trade, expect to be paid well for your skills and have frequent work. Big tourism towns like Queenstown, Wellington and Auckland CBD rely on backpackers to fill roles in all aspects of tourism. You could be working for one of the many campervan companies or making coffees for the masses as you lap up the stunning surrounds. A tax number, you will need this to start getting paid from your employer. You can either pick up a form at your local post office or apply online. ANZ, BNZ, Westapac, the possibilities are endless. Just pop in to the bank with proof of your visa status and your passport. The bank will have you set up in no time. Skinny mobile offers excellent rates for backpackers, they are also pretty cheap and give you ample amounts of data, so you can make all your pals jealous at home with your ‘gram’ updates. NZ experiences all four seasons, in summer it’s beautifully warm countrywide. In winter you may see some epic snowfall depending where you are based. The South Island will reach minus temps so make sure you pack for all seasons, woolly hats and jandals (flipflops) are good staples. Without sounding like a nagging parent, do yourself a favour and make sure you get decent travel insurance before you jet off. It could save you a whole lot of hassle if your bag decides to go on a solo mission at the airport or worse. Better to be safe than sorry we say. Like we mentioned, you’ll need to have some dollars saved before you start your epic NZ trip, so save accordingly and enjoy. Always a handy tip. Print your documents before you leave the UK, that way in case you get stopped on arrival you have all the proof you need to sail on through customs. Visa, travel insurance and bank statements are normally what the officers like to see. Also, if you have booked accommodation for your first few nights, they would like to know where, you can also show your return flight if you have booked it – this way they won’t need to see your bank details. The perfect way to make some friends and see the country before you set off in search of work. Kiwi Experience, Stray and Haka Tours offer group trips for those aged 18-30. You can cover all corners of the country and then return to your favourite destination for work. Avoid the stress of trying to find a place last minute by pre-booking a nice comfy bed in a sociable hostel. There you’ll meet people who are either in the same boat or those who have travelled NZ and can give you some top tips. I’m a believer in the saying “it’s not what you know, it’s who you know” after finding my first job in NZ through a new hostel buddy. Socialise, meet new people, extend your network and you never know what opportunities might arise! What if I never want to leave? If you fall in love (like many do) with Kiwi life, you do have options to stay. If you get a legendary job and a good boss, then a work visa is your next step. You can work for up to a year for the same company. If you choose to quit your job you will have to get sponsored by another company or leave the country. That’s right, you can become a resident of New Zealand. If you have a trade such as builder, chef, hairdresser etc then you may find yourself on the skills shortage list, which means NZ needs you! You can apply for residency, work the point system, save up, get a good agent and apply. Agents such as New Zealand Shores will provide you with all the help and support you need during the process. Now, plan the adventure and enjoy your time in the long white cloud! 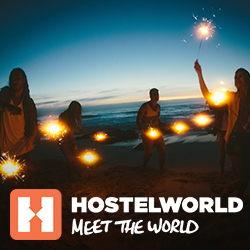 The post A guide to a working holiday in New Zealand appeared first on Hostelworld Blog.